My daughter is a Chartered Accountant employed in reputed private company as Finance professional currently based in Mumbai. 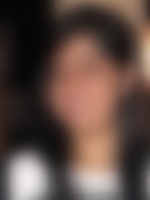 She has earlier worked in Vedanta for about two years on becoming CA. Prior to that she completed her CA internship for three years at Deloitte Kolkata. We belong to an upper middle class, nuclear family with moderate values.People describe her as well-educated, matured, cheerful and courteous. Her hobbies and interests are traveling, singing with special excellence in Rabindrasangeet, listening to music and art / handicraft. We belong to an upper middle class, nuclear family having liberal outlook. Our family is settled in Kolkata. Her father has passed away while her mother is a homemaker. She has one sister, who is married.